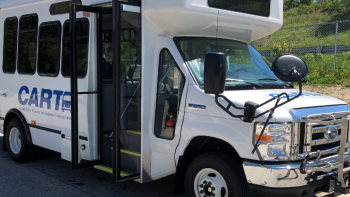 The Cooperative Alliance for Transportation (CART) was established by the New Hampshire legislature to meet a well-recognized need for reliable public transportation in the community. 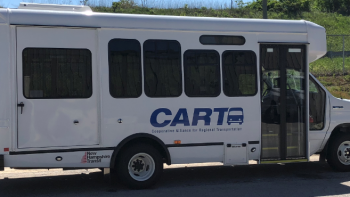 CART officially took to the road in October 2006 when it began offering a shared-ride, curb-to-curb service that was the first step towards building a public transportation system for the Greater Derry-Salem region. Last year, CART provided more than 15,000 rides. Providing a reliable, safe and affordable public transportation service has always been CART’s focus. From the start, CART’s curb-to-curb service has been available to residents of all ages from designated service towns. 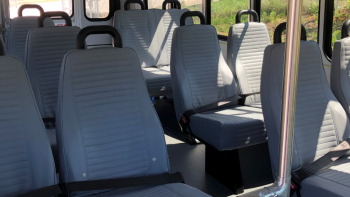 CART services are provided through a combination of town funding from donor towns that currently include Chester, Derry, Hampstead, Londonderry and Salem as well as federal and state transit funds. As a 501 (c) 3 non-profit organization, CART also relies on the generosity of donations to help defray the cost of operations. Today, CART has expanded its service offerings in order to provide reliable transportation to even more riders. Starting in 2012, CART began the Derry/Londonderry Shuttle, a shopping, nutrition and medical transportation shuttle and route deviation service that runs in Derry/Londonderry. The Shuttle is a collaborative effort of CART, Rockingham Nutrition Meals on Wheels and Easter Seals NH. A similar route-deviation shuttle in Hampstead began service in 2012. A fixed-route Shuttle Service was established in Salem. CART has provided more than 100,000 rides for area residents since it began. As a public transportation service, CART keeps people on the move by offering choice, freedom, mobility, increased opportunity and a better quality of life.